You won’t meet your financial goals by burying your money in the backyard. You invest so you can buy a home, send your children to college, start your own business, or expand your horizons by continuing your own education or traveling. Your most important goal is likely to be enjoying a secure retirement. Investing supplements your savings and helps you cover day-to-day costs, including healthcare expenses, over what could be a decades-long retirement. Investing helps provide financial security for your family, and for the people and organizations that depend on your generosity. All investing carries some degree of risk, however, so it pays to learn the investment basics before you get started. The $1 you have in your pocket today is worth more than that same $1 will be worth next month or next year. 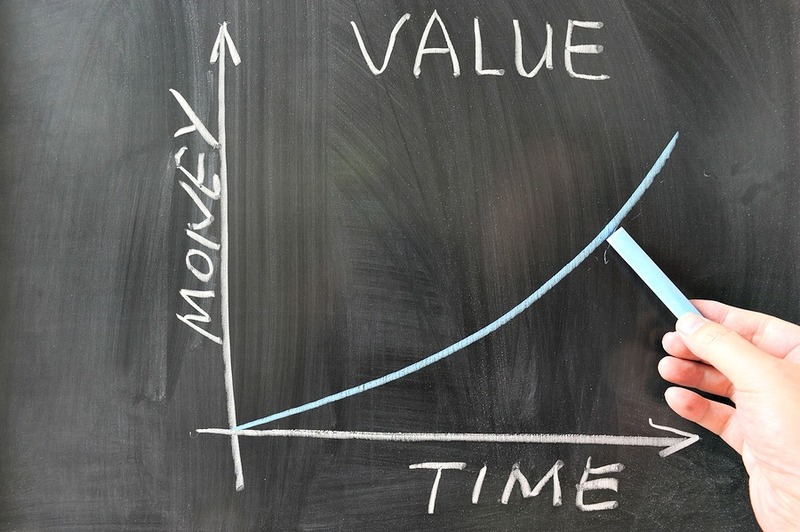 That’s the time value of money: The more time that goes by, the less value your money has. Money loses value — or buying power — as a result of inflation. Almost anything you buy now costs more than it once did—and often more than you expect. Inflation is a big part of the reason it will cost you more to live in the future than it costs now. What makes things worse is that over the past 40 years the average inflation rate as measured by the Consumer Price Index (CPI) has risen much faster than people’s average disposable personal income (DPI). That means you have lost a lot of buying power during that time. Inflation also does real damage to your savings, especially if the inflation rate is higher than the interest rate you’re earning. If that’s the case, your savings are actually losing rather than gaining value. So what’s the solution? You’ll need a source of income in the future that will outpace inflation and close the gap between what things will cost and what you have to spend. Investments can provide that income. The Rule of 72 shows how inflation can erode your income. Here’s how it works: You divide 72 by the annualized inflation rate, which has averaged 3% since 1926. Since 72 ÷ 3 = 24, you can expect your living expenses to double every 24 years. That’s an eye-opening number, since there’s nothing unusual these days about a retirement lasting 24 years. It’s critical, then, to have more income as time goes by. Keep in mind, too, that in some years inflation is higher than 3%. If inflation jumped to 6%, or soared past 12%, as it did in the late 1970s, then the damage to your long-term financial security could be severe. The Rule of 72 is also a quick and accurate way to estimate how quickly the money you invest will double in value. For example, if your investment portfolio provided a 6% annualized return, you could expect your account to be worth twice what you invested after 12 years (72 ÷ 6 = 12). That’s even if you don’t invest another cent—though ideally you would continue to add money to your portfolio every year. One word of caution, though: No rate of return is guaranteed. The estimates provided by the Rule of 72 depend on assumptions about the rate of inflation and the rate of investment return, both of which could differ significantly from historical averages or your expectations. If the value of your investment portfolio increases more quickly than inflation causes prices to rise, you’ll increase your net worth and be more financially secure. One way to do this is to invest for growth, or to try to achieve an annualized rate of return on your investments that is higher than the annualized rate of inflation. Investing for growth is different from putting your money in certificates of deposit (CDs). With bank or credit union CDs, your money is safe because deposits are federally insured and the return is guaranteed. The rate of return, however, is generally lower than the rate of inflation. In fact, in the past several years, CD returns are about as low as they have ever been and typically less than half the average rate of inflation. Some investors have probably felt that, except for the federal deposit insurance, they would have made out as well by putting their money under their mattresses. The sooner you start to invest, the more time your money has to grow. But investing at any age helps you financially. Just as the $1 you have today is worth more than the same $1 next year, so the $1 you invest today has greater potential for growth than the $1 you invest next year. The arguments against investing are valid—to a point. Investments aren’t insured, and your earnings aren’t guaranteed. In some time periods, you will have to stomach the fact that the value of your investments has shrunk. You’ll also need to avoid locking in your losses by selling in a panic. The counterargument is that over extended periods of time—several decades, not one year or 10 years—you have a chance to achieve a much stronger rate of return, and much greater protection against inflation than CDs and money market accounts can provide. Those figures cover nearly nine decades, though, and no one except the exceedingly optimistic plans to invest money over that length of time. There is no guarantee—in fact, probably very little likelihood—that your returns over 20 or 30 years of investing will closely track those historical returns. But since you have the potential for a rate of return that’s higher than the rate of inflation, you may decide it’s worth investing your assets in a mix of stocks and bonds. Some people are understandably concerned that they don’t know how or where to start investing, or simply don’t have enough money. 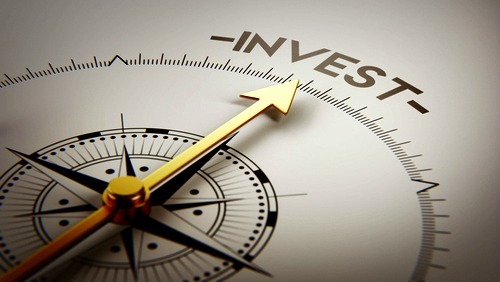 The best remedy is to learn more about investing and how it works, starting with the State Securities Board’s Texas Investor Guide: Strategies for Investing Wisely and Avoiding Financial Fraud.